大概由於某些原因, 買了兩顆來用. 結果最後還是沒有任何作用. 只好作罷, 這邊剛好來測試好了, 測完再便宜清掉. 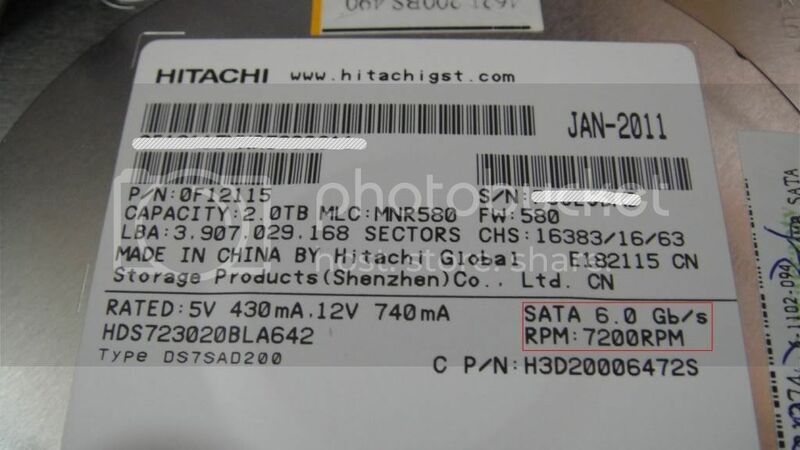 7K3000是目前Hitachi新款的SATA 3.0 HDD, 在相關測試上顯示他的成績不錯. 我拿了兩顆進行測試, 他的循序性能相當好, 適合作為倉庫用途使用. Memory Buffer則是使用海力士的512Mbits(64MB)顆粒. 型號為H5PS5162FFTR, S5C. 查詢相關文件後, 這應該是一顆DDR2-800的記憶體顆粒. 主要負責控制器微碼載入以及資料緩衝. RAID on chip (ROC) processor for hardware RAID. 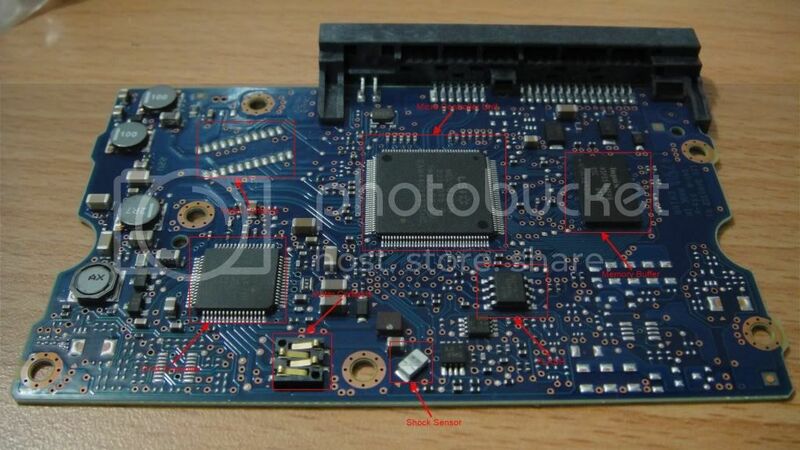 The software RAID controller you are using do not have ROC chips. Software RAID controllers utilize the system processor to process I/O because they do not utilize ROC chips. The ROC chip allows all processing to be offset to the RAID controller, not the system processor. Firmware handles striping, consistency checks, I/O, rebuild, recovery. 沒錯, LSISAS2008是一個Software RAID架構, 不管IR/IT也好, 或著IMR模式下, No RAID Assist, Not Hardware RAID. PPC440@533MHz的processor core的作用不明, 只能說他可能是LSI的RAID stack架構下可能會產生的副作用吧. LSISAS2008內置了2MB buffer, 稱之為Context Memory, 作為firmware操作內部使用. 關於這個SRAM buffer詢得了兩種回應. LSI=> The I/O processor processes I/O. 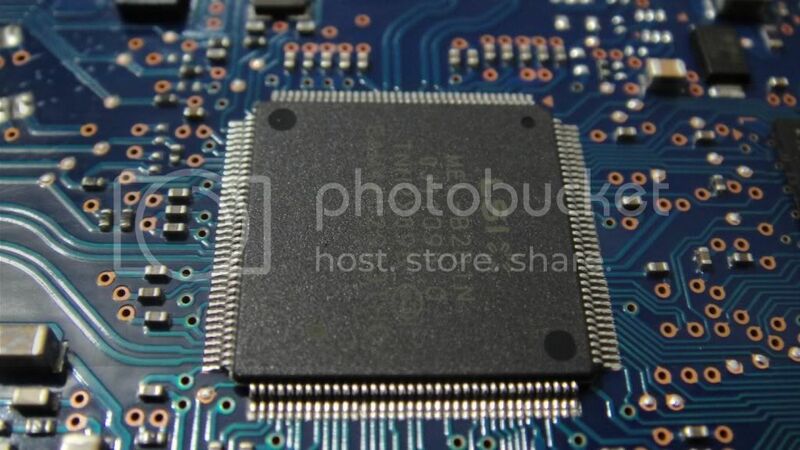 You need a This is used for processes internal to the chip and not for read or write cache. 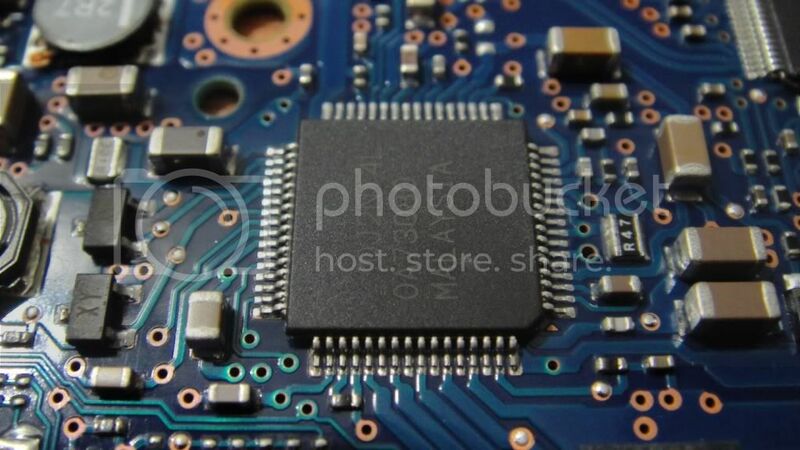 Intel=> Context memory is like processor cache memory. The LSISAS2008 doesn’t support “external” cache memory so it’s embedded in the ROC/Controller to provide a place for calculations and temporary data storage. Because it’s embedded there isn’t space for much memory (2MB). The design, firmware stack, driver family, and every aspect of these boards is completely different. They are in no way similar, with the exception that there are not hardware RAID. IMR使用WebBIOS, 功能與特性遠比基礎的Fusion-MPT BIOS豐富許多, 設限也比較少. 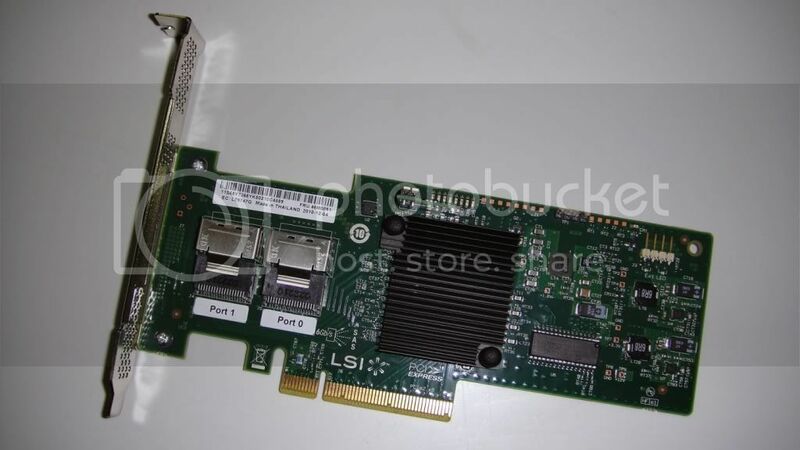 不過在IR/IT模式下, LSISAS2008的Host Bus面向PCIe 2.0, 支持MSI-X, 提供大量的IRO資源操作, 對於CMP/SMP系統架構來說, I/O負載有正面上的助益. 從上圖看到, LSISAS2008提供了大量IRQ資源, 可供大量儲存裝置操作使用, 不過我這邊使用兩顆HDD測試而已, 沒甚麼影響. 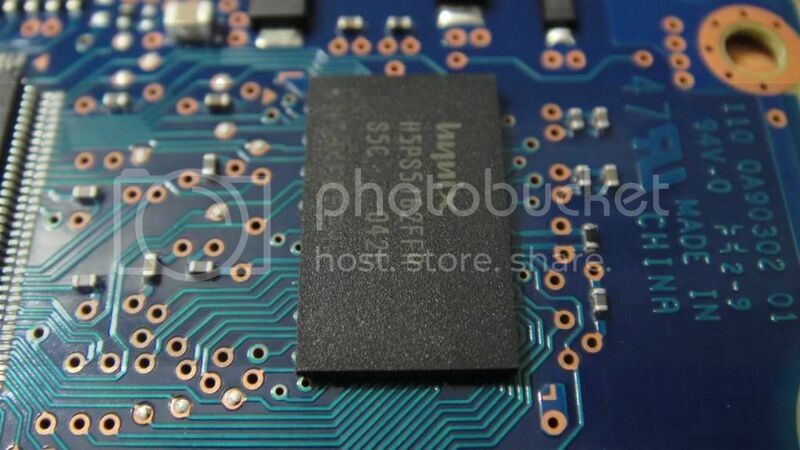 這是一張OEM的LSISAS2008 RAID HBA, 不過他是提供IMR的firmware模式, 由於他的FLASH容量比IR/IT模式產品大很多, 有128Mbits之多, IR/IT只有32Mbits. 我胡亂猜測可能放了某種程度的RAID算法, 因為LSISAS2108 RoC產品的FLASH也才64Mbits容量. 加上Fusion-MPT架構的Device Driver是屬於輕型結構. 在容量較大的FLASH下, 小弟我動了一些非法的手腳把IMR硬刷為IR/IT模式, 這樣的好處就是方便測試單顆SAS/SATA HDD, 因為IMR模式下, OS是無法直接識別儲存裝置的. 在QD4的情況下, 循序I/O達到了將近160MB, 以目前來說是相當優秀. 接下來是QD10的部分, 沒太多改變. 在過來使用Crystal Disk Mark來檢測不同的I/O應用成績, 主要還是看循序操作下的I/O性能. 測試檔案尺寸為1000MB. ioMeter是作為儲存裝置測試下, 提供較嚴苛的指標級測試, 我這部分有做循序I/O下的最大性能測試, 從QD1到QD256, 但是由於最近遭遇悲慘的情況. 小弟也就懶得再製圖了. 各位打開連結看看就好. 接下來使用兩顆7K3000作成一顆VD, 使用RAID 0, 在IR設限下, 只能更動Disk Cache Policy, Stripe Size也被強制固定64KB, LSISAS2008是cacheless產品, 沒有任何external cache memory支持. 最後, 對於這顆7K3000來說, 他有較優秀的循序I/O性能, 只有Access Time就比較不好看了. 但是作為大型檔案存放下, 相當適合. 噪音和溫度部分也都ok. 因此個人甚為推薦. 測試儲存裝置沒有像測試RAID Controller產品一樣, 小弟沒啥可以囉哩八縮的, RAID Controller測試總是廢話連篇XD. 此文章於 2011-03-02 09:47 AM 被 vxr 編輯.